Cergy ([sɛʁ.ʒi]) is a commune in the northwestern suburbs of Paris, France. It is located 27.8 km (17.3 mi) from the center of Paris, in the "new town" of Cergy-Pontoise, created in the 1960s, of which it is the central and most populated commune. 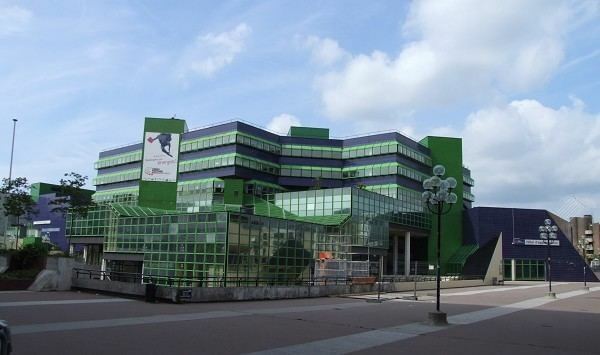 Although neighboring Pontoise is the official préfecture (capital) of the Val-d'Oise département, the préfecture building and administration, as well as the department council (conseil général), are located inside the commune of Cergy, which is regarded as the de facto capital of Val-d'Oise. 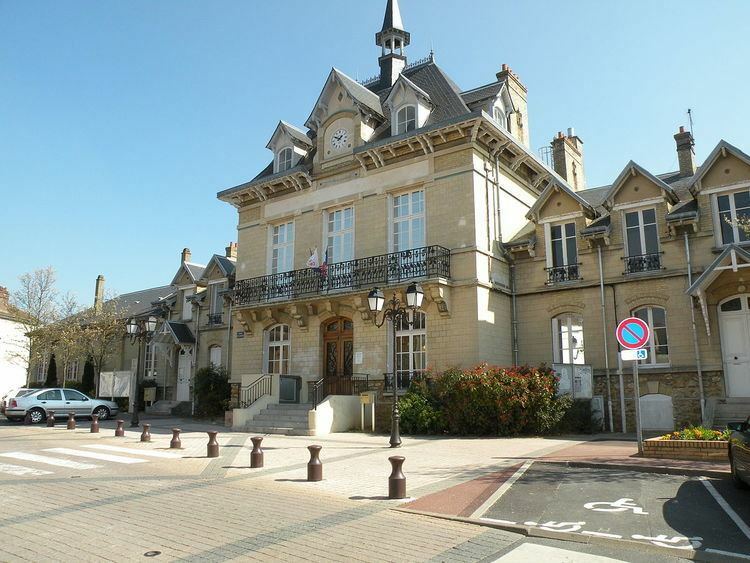 The sous-préfecture building and administration, on the other hand, are located inside the commune of Pontoise. The name Cergy comes from Medieval Latin Sergiacum, meaning "estate of Sergius", a Gallo-Roman landowner. Cergy is the chief town of two cantons: Cergy-1 and Cergy-2. Liaoyang, People's Republic of China. Cergy is also informally twinned with a village in Palestine and a village in Senegal. When Cergy was selected to become the center of a "new town", it was only a village. The commune had only 2,895 inhabitants in 1968. It then started to develop very quickly, exceeding 10,000 inhabitants in the mid-1970s and then 20,000 in the early-1980s. It is in this decade that its growth was most spectacular, since the city exceeded 48,000 inhabitants in 1990. The increase continued since, but at a notably slower pace, to reach 54,500 at 2004 estimates. However, on 1 January 2000, the commune lost a portion of its territory (net 0.03 km2 (0.012 sq mi) with a 1999 population of 62 persons) to the adjacent commune of Courdimanche. The official census figures have thus been revised downward from the 1999 official 54,781 to 54,719, and the land area from 11.68 km2 (4.51 sq mi) to 11.65 km². Port Cergy is a marina on the River Oise at pk 9. The site comprises both housing and recreational yachts as well as a boating school. The marina can hold 103 ships ranging 5 to 22m long and. The northern part of the site is reserved for restaurants and shops and have been built around a small bain. Ham is a small village to the south of Cergy. The village used to be part of the Sergentery and then commune of Neuville-sur-Oise but has since been amalgamated in the commune of Cergy. On its territory is the outdoor leisure centre 'Base de Loisirs de Cergy-Neuville'. Cergy is served by three stations on Paris RER line A and on the Transilien Paris – Saint-Lazare suburban rail line: Cergy – Préfecture, Cergy – Saint-Christophe, and Cergy – Le Haut. Cergy is served by direct buses from Charles de Gaulle Airport. The bus company STIVO provides 17 lines of buses to travel within the agglomeration of Cergy. Lycée Alfred Kastler de Cergy-Pontoise is in neighboring Pontoise. Known as being a violent city in the past, with a criminal rate of 137.62 incidents per 1000 inhabitants, Cergy-Pontoise has experienced a significant decrease of violence in the past years. Reaching, in the year of 2008, a rate of 99,87 criminal incidents per 1000 inhabitants, which is still a high criminal rate. The town was used as a filming location for Henri Verneuil's film I... comme Icare released in 1979, starring Yves Montand. The EDF-GDF tower designed by architect Renzo Moro is the building from which the shots were fired to assassinate president Marc Jarry. The country that the movie depicts is not named, although the United States is perhaps suggested. The filmmakers chose the modern and innovative architecture of the new city to avoid depicting any particular country.